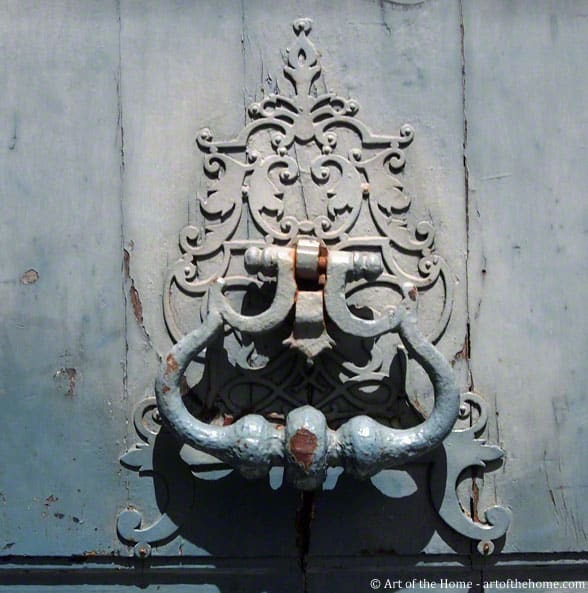 Today, we are featuring photos of antique door knockers taken during our various walks in France — lady’s hand knockers, “porte cochère” knockers, etc. We’ve walked by some of those knockers many times over the years and it has been intriguing for us. Observing those old doors with unique knockers, we often wondered about the centuries of history that took place behind these doors — if only those door knockers could talk! 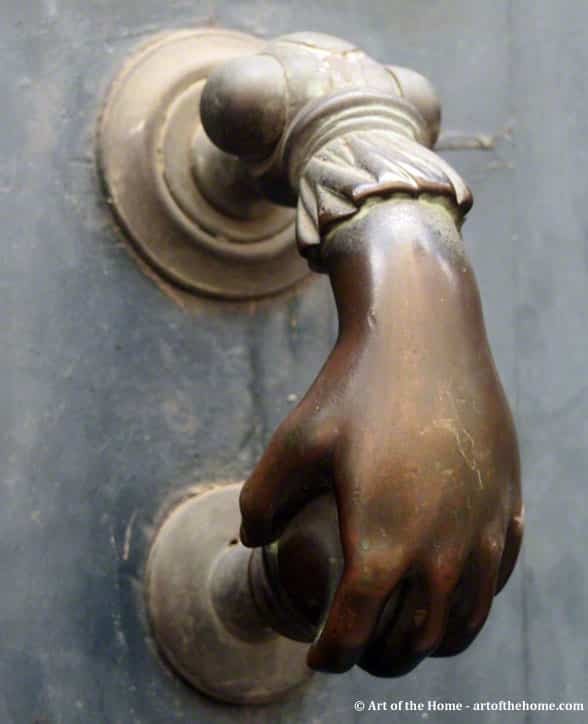 This knocker below is designed to look like a lady’s hand holding a ball. Notice the details of her sleeve falling on her wrist. It is made of bronze but other designs are made of cast-iron and have additional details. 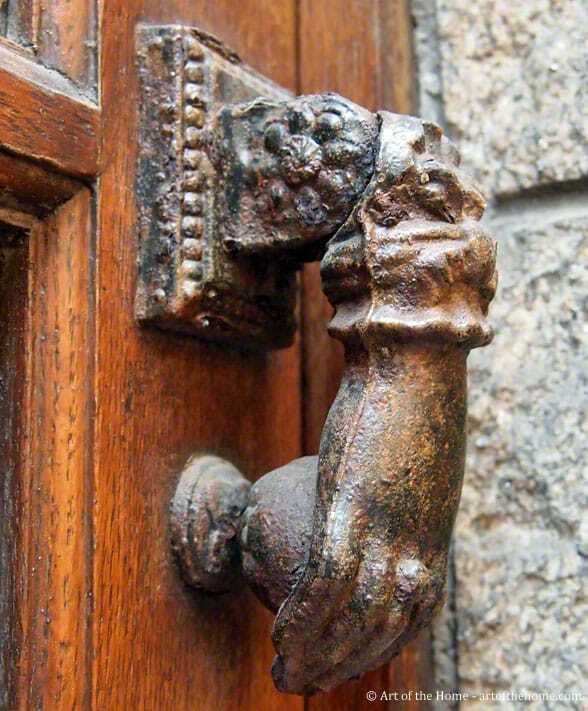 For example, the hand knocker picture above features a hand with a ring on the lady’s middle finger. Now, what a classy way to welcome your guests or let your host know you have arrived! 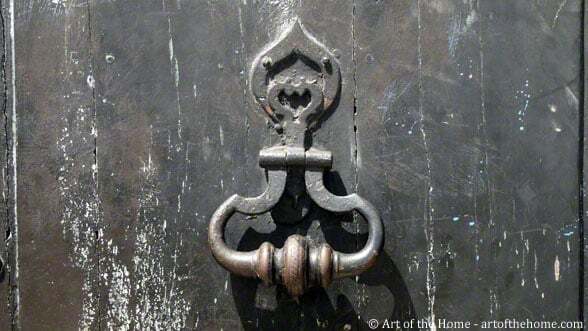 The door knocker below is actually the knocker of a “porte cochère” (carriage porch). 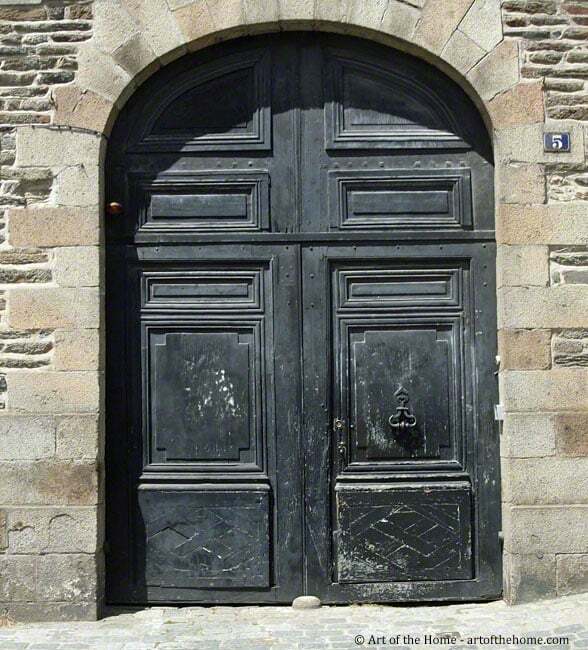 A carriage would go thru such door to access a cobblestone courtyard (cour) where to “cocher” (coachman) would pick up his passangers. Notice how there is no step in front of the door? This would allow horses and carriage (nowadays cars) to get thru the door. Looking at the bluish door knocker below, you can see that it has a similar shape as the porte cochère’s knocker. However, the door plate is much larger and offers a more intricate design. It is the design and material of the knocker, as well as the door plate itself that give each door knocker its uniqueness and character.